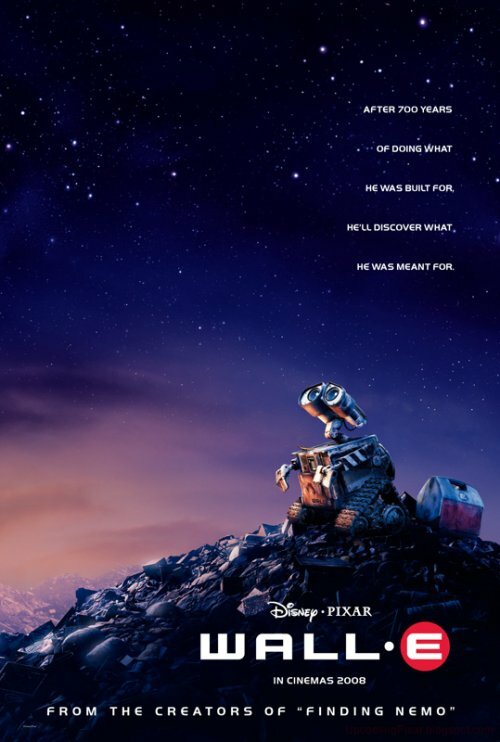 Man, I really, really love this teaser poster for Wall-E. So beautiful and so clearly filled with emotion. It immediately makes me love the little robot. And at the same time, I feel a little sad for him. he looks so lonely in there, looking at the empty sky. Pixar is obviously trying to do something different with Wall-E, and it shows in everything they have released so far. Take the example of this poster: it is much less colorful than what we came to expect from posters for animation directed at children. It is also a lot less “busy” than usual. There really isn’t much happening, and most of the poster is filled with the sky. All of these is quite a gamble, marketing wise. But that is one gamble I’m happy they are taking. I hope that the movie is great, and that they succeed in selling it, because that kind of success can only mean good things for the movies that will follow. I was divided about the first poster for The Mist. There were things I liked but I felt that the execution was lacking. Altough this new poster drops some of the interesting aspects of the first, I think it is, overall, a more successful effort. The greatest achievement of the poster is that it manages to successfully make the mist seem like a palpable, oppressive and likely dangerous thing. A mist isn’t exactly the most scary monster in the world, so it takes some effort to achieve that. I also like that the poster gives us a sense that the characters are somewhat trapped, which I believe is consistent with the film’s story. And yes, the poster does add a child, which is a very cheap way of raising the stakes. But hey, it kind of works. Yet more posters from films selected by their respective countries to compete for the best foreign language Oscar. This time just films from European countries. Since this entry is a little long a placed most of it under the fold, as the kids say. In case you are worried, I will put up a post with links to all these posts when I’m done. 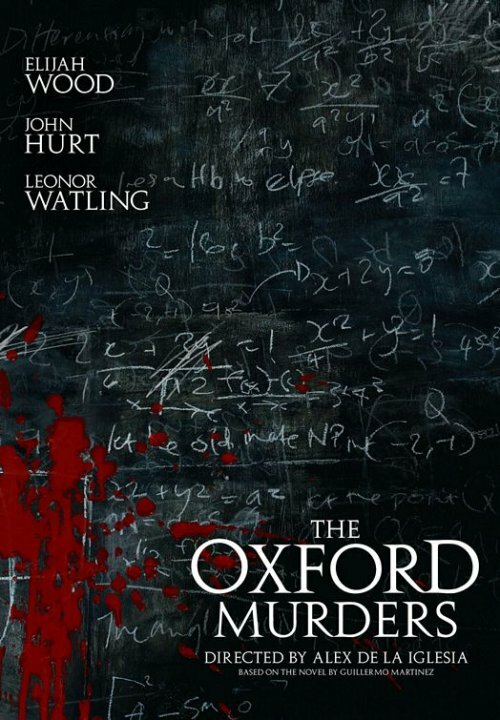 If you have a film that takes place in a prestigious university and that involves the use of mathematical symbols in order to solve murders, I think you can do a lot worse than using the imagery of a blackboard filled with mathematical mumbo jumbo and splattered with blood. The blood splatter in this poster looks particularly fake, but besides that I think it’s a decent execution of the concept. 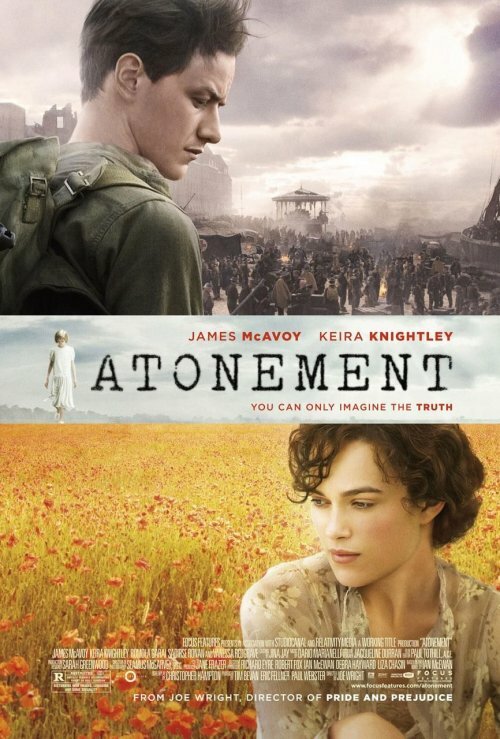 This is not a terribly memorable poster, and it’s no likely to win any awards. But it does get the point across. I really love taking a look at the posters from these films from all over the world. Hopefully you people aren’t getting bored by these posts. Today I’m taking a cue from Twitch and bringing the posters for films from several Asian countries. If you go over to Jeff Well’s blog you will find a nice discussion of how this poster was influenced by the works of Saul Bass.You will also find a statement from ThinkFilm president Mark Urman about how they wanted an image that had lots of room for review quotes that could be placed in the newspaper adds. And this poster certainly meets that requirement. However, as interesting as all that is, I’m not very fond of the poster. 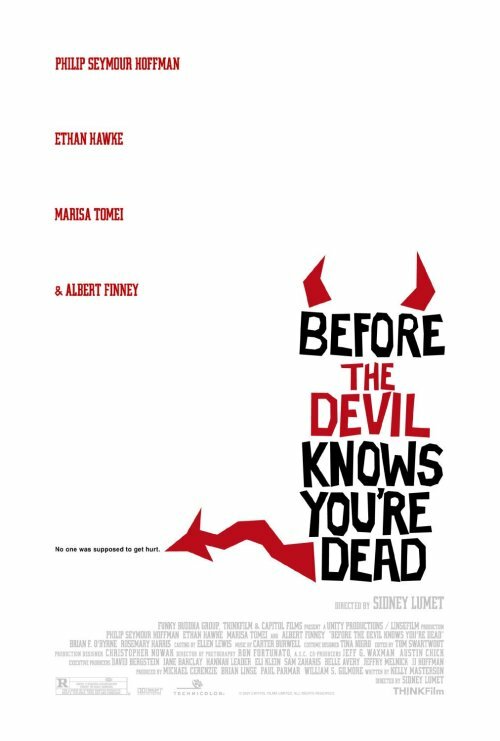 The movie itself is supposedly a rather dark thriller, but to me the poster seems like it should belong to a comedy. Perhaps a naughty, slightly dark comedy, but a comedy still. I’m not sure why I get that feeling, but I guess it’s in large part because of the red horns and the crooked tail. For me those images evoke a mischievous but ultimately not very harmful devil. You know, the one that we generally see sitting in somebody’s shoulder, telling him to grab the last doughnut or something like that. The imagery is too on the nose for me to really take it seriously. And as much as I like the Saul Bass, his style feels a bit old and outdated nowadays. Which is not to say that you can’t use it, but you do have to be careful about how you do it. The style would probably be a good match for a a lighter film that took place a few decades ago. But it will be very hard to make it work with a contemporary thriller. Then again maybe I’m just a stupid kid and it will work with people older than me.